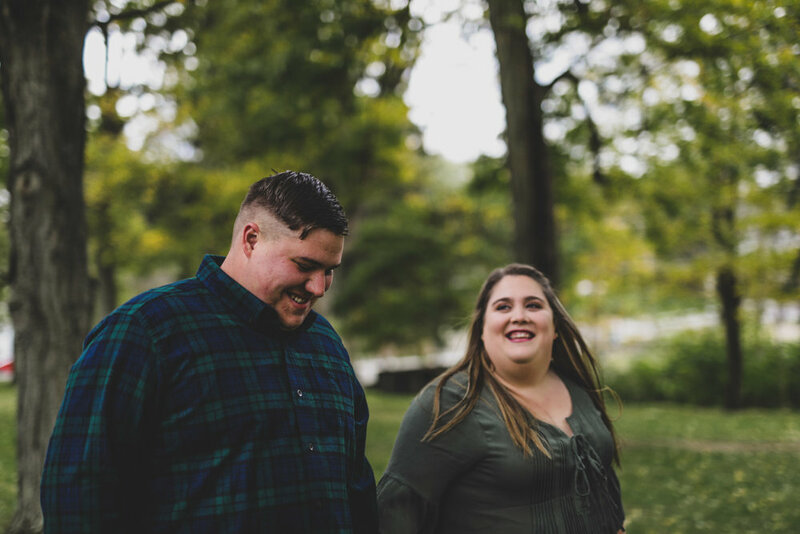 Jessica and Nick started their engagement session off with laughs and those continued throughout the remainder of the hour that we spent together. Nick likes to make Jessica smile and that makes my job easier. The fun and goofiness they brought with them made each photo a breeze, but they also share a deep affection and admiration for the other. I am definitely looking forward to working with these two come next September when they tie the knot. Until then, keep making each other laugh and enjoy one another daily. 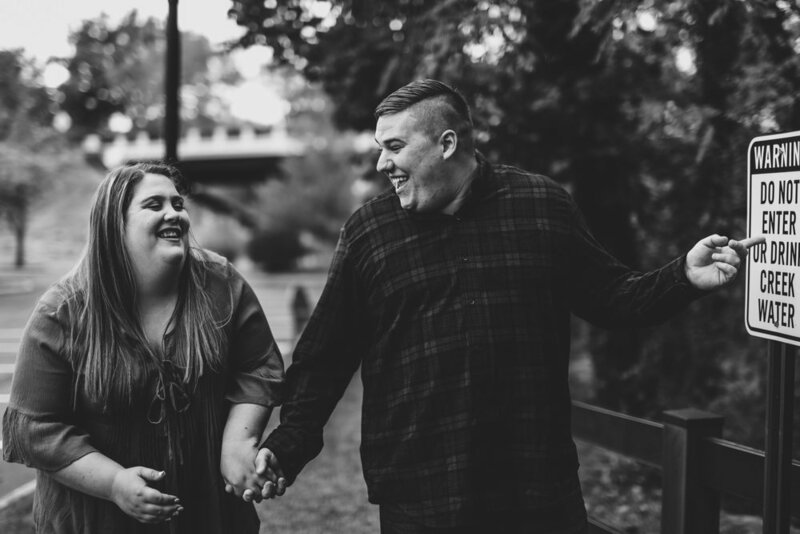 Tenelle and Michael celebrated their marriage on Tenelle's family farm. Surrounded by gorgeous scenery and beautiful friends and family, it was surely a day they'll never forget. Kaitlyn and Steve are a couple all about the details, from the customized perfume bottle to the custom designed logo specifically made for their special day - ALL about the details. We were excited to create a unique-to-them wedding film and we are excited to share that with the world. Authenticity: Making Business Successful Since, Well, Forever. In recent months, I have been exploring the deepest parts of who I am - specifically when it comes to being a business owner. Working in the marketing world for a few years now, both corporately and self-employed, I have learned this: genuine authenticity is really hard to come by. There is a pressure to put up some weird front, almost a caricature of who you really are. Sales meetings are full of half-true-promise-talk, and networking events are stiff and uncomfortable. You try to do whatever you can to seem like you have it all together as a “professional”. I hate giving out business cards. They are basically good for two things: cluttering your car’s center console and getting free lunches from the local diner. So, why do I continue to spend one hundred dollars a year on these scraps of paper? I do it because it’s something everyone else does. It’s something you do to be perceived as, you can guess, professional. I literally never look at a business card again after I have been given one! Alas the game we play. I realize that this information may shock some, showing transparency with the frustrations I have with the industry I work in. Although, you need to start with honesty and authenticity somewhere, so I start here. So, if you see me wearing jeans at the next business soiree, please know, that’s simply what I actually wear when I work. Who really wants to work with someone who tries to hide his true self? Don’t we all long for authenticity? Aren’t we all hungry for it? I want you to get exactly what you pay for and who you pay for. I vow to no longer attempt the fancy-jargon-dance. I promise to be honest about the skills in my wheelhouse even if it loses me sales. I will remain professional and courteous, but I swear it will taste like the actual me, Mike Myers. A lack of authenticity is a problem affecting all types of industries and hard working people. I, though, am choosing to run MiMy Media differently.